Collette did an excellent job from start to completion. Customer Service was always available, professional, and friendly. I will definitely be touring with Collette in the near future. This whirlwind tour was our honeymoon. Collette and Barry Kublin, our tour manager did their utmost to ensure this was a special and memorable experience for us. The service was excellent - the tour guide Barry was very efficient - he took time to explain the up coming outing - what we had to watch for and anything that might cause us problems. He was confronted with three emergencies of injured tour members and looked after everything very professionally - got them medical attention and assisted them in all ways possible. 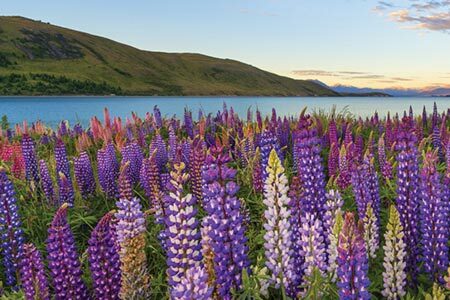 The tour was fabulous and the tour guide added a lot to the enjoyment of the tour - we also had a very informative bus driver in New Zealand who was continually giving us information about the area we were in plus the country itself - it added so much to the tour. I stated my feelings in the first comment area. The rating would have been a 5star if your department handling airline reservations had allowed enough time (5 hrs. or more) between our flight from DFW to LAX. Due to their lack of allowing enough time between flights, we missed our connecting flight to Sydney and subsequently missed our tour to the Great Barrier Reef which was to be one of the most important activities we had wanted to do. Thank you for traveling with Collette to the South Pacific. Your comments will be reviewed by our internal department managers so that the necessary improvements can be made. Thank you for sharing your feedback. Excellent tour. Great tour guide, bus drivers, and destinations. Very fast paced. Covered all the interesting and must see places and experiences. Small group of ten on a large coach. Tour manager was great and most drivers very knowledgeable . Skyline and train journey and South Island of New Zealand. Would like to have seen more of Tasmania. Fabulous trip of a lifetime. Tour manager gets 5 stars. The actual trip gets 5 stars. Our hotels get 3 stars. We requested Triple room and most of the hotels had difficulty with that concept. The hotels had difficulty ensuring pleasant stays with a triple room. A wonderful, organized tour director. Great bus driver who acted as our tour guide. Very knowledgeable and personable. needed gluten free meals were not arranged. . We were told to inform tour director about gluten allergy , tour directors' demeanor not very encouraging. He is also not very proactive in making sure gluten free items are available unless we ask him about it. He always say it is available during the optional tours but were not. We took the homestay tour and our host said she was not informed about the need for a gluten free meal. we took the extended tour to Fiji at end of tour with 10 other people. all ten people were on the same flight except for me and my wife. the rest of the group were on a direct 4 hour direct flight from Auckland to Fiji while we had to go to Sydney then to Fiji making it a 10 hr flight. We were not informed before booking that we were flying separately from the rest of the travelers. The tour and service were very good. I would recommend Cpttette and I will very likely use them again. Very enjoyable and memorable tour. My favorite part was interactions with the Australian animals. Our tour was excellent. Our tour guide, Eddy Davidson was fantastic. She cared about everyone and was so helpful. Drivers and other guides were good also. Excellent tour. The only thing is that it was quite expensive. That might make a difference for us in the future. Collette made our trip to Australia and New Zealand a truly awesome trip. My girlfriend and I found Collette to be a great company to work with as we planned the trip of a lifetime to Australia and New Zealand. We were booking the tour later than we should have and Collette worked to make sure that all of our requests were met, from airline reservations to optional additional tours. When we ran into a travel problem on the way to Australia we called their emergency number and they advised us on how to proceed. When our travel plans were interrupted due to weather they diverted us to another location and made sure that our trip continued to be enjoyable. Marion, our tour manager was awesome in keeping everyone informed about the schedule and upcoming events. She really helped make our trip of a lifetime truly the trip of a lifetime. I cannot think of anything that Collette could have done to make this a better trip. We experienced so many memorable experiences that it is difficult to choose just one. 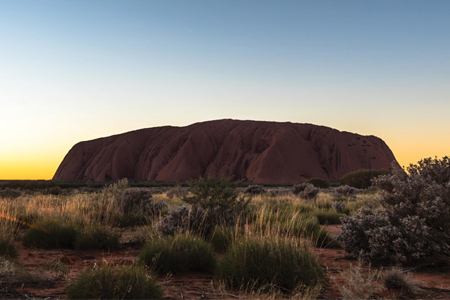 We enjoyed everything from having champagne at sunset at Ayers Rock to participating in the optional tours such as doing the Sydney Harbor Bridge climb and taking the Shotover River Jet Boat ride. The reason for 4 stars is I feel that there were to many people on the tour and we were not able to spend as much time in some locations as we would have liked. This is the first tour of this nature I have ever taken and understand the necessity of a schedule. But having traveled extensively on our own for many years I was not prepared for the rigid schedule. This is not a negative reflection on Collette. They did a great job. Trip of a lifetime. Simply awesome!!! The tour was well organized and the itinerary was awesome. We saw so much. There was enough down time to recharge a bit, but the coordination and the timing of all the stops was outstanding. Our tour director, Jim, was very experienced and knowledgeable of all area we visited. Tasmania was awesome with the taz Devils and feeding the kangaroos. Koala preserve was also neat. We could almost reach out and touch them. Australia was great but New Zealand was spectacular...Queensland, Milford Sound, Mount Cook, the Maoris....the list goes on. Very tiring schedule but that is the only way to see all that we saw. Fantastic trip in all respects. Excellent - Every detail was taken care of. Our trip to Australia and New Zealand was wonderful. It is a fast faced trip that gave us a good feel for these two countries. ***** *******, our Tour Director, was extremely knowledgeable--we were unable to stump him with any of our questions. We were pleased with our hotels and the quality of the meals. Our local guides and bus drivers were very knowledgeable and entertaining. Thank you for a memorable trip "down under." It is hard to pick out a favorite. We did so many fun things. We enjoyed our time with the family in New Zealand, my husband loved walking the Sydney bridge, New Zealand was breathtaking--such a beautiful country. The harbor in Tasmania is the most beautiful harbor I have ever seen. It was fun being in the cities and spending time exploring them. In short, we loved it all. Well planned. Very good tour guide. From start to finish ,it was interesting and well run. Our tour manager was excellent in a calm and organised way. Well paced tour with lots of new discoveries every day. Excellent tour manager who kept things flowing. What was included for the price was incredible. The tour was amazing, very well organized, and the countries were beautiful! Our tour guide, Jim, was knowledgeable and fun! Collette had arranged the tour stops and sights perfectly. The itinerary was well planned and executed. The tour guide was very knowledgeable and organized. A very (too?) ambitious itinerary. Tour guide was always available to help as complications arose. Excellent guide, David Cornier, wonderful locations, very educational, good hotel with great locations within the various venue. Trip was very educational and tremendous fun. I would recommend it to all. I would suggest dropping the one night stays though; they do not do the locations justice and they are too hectic regarding unpacking and packing. Very interesting, well organized tour! I would have liked to see fewer people on tour 40+ was high I thought. **** was awesome. He made arrangements for many of the ill to get medical help. He made it easy and comfortable to back out of the home visit in New Zealand, that I was uncomfortable with from the time our itinerary was sent to us. I had called Colette and tried to cancel, but was told by the rep that it was too late even back then...weeks before we departed. The hotels were all very nice..my only complaint was the few that didn't supply free internet. The coaches were top notch and food wonderful. I would travel Colette again in a smaller group. Would recommend or buy again. But the website is deficient. I could not get an invoice online. I complained of this before and will go with Gate 1 which has a better website. The tour itself was very good. Hello, Gregory. Thank you for bringing this to our attention. We appreciate your feedback as it helps us to improve the tours for future guests. If you'd like we can set up a call with a member of our guest relations team to learn more about your experience. The guide was very good, as we're the dinners. The breakfasts left a lot to be desired. The hotels all needed a new mattress, with the twin beds being the exception. And on that note, I enjoy sleeping with my wife..... so why the twin beds? My backside is still numb, is there anyway to relieve the pressure there? Too many stops for too few days, arrive at 4 pm and leave at 8am???? How do I see any sights??? Attention to details. Great itinerary. I would definitely recommend Collette CA!!! Excellent planning from beginning to end. I love that our vacation began at our front door. No worries right from the beginning!!! This tour included Hot-air ballooning which I have wanted to do for quite some time!!! 15 flights went well! Hotels were overall excellent. I wish the family stay in Rotorua would have been explained that the places were more like a bed and breakfast. All raved about the places. The places visited between countries were varied, beautiful, and wildlife excellent! Holding a koala, feeding a kangaroo, and seeing the Penguins was so fun! NZ is breath taking! Fiji was so much fun! Our trip manager was very good, and *Personal Details removed by Feefo* at the Sofitel was so friendly and excellent! This is one of the best trips we ever took! So glad we went! The beauty and majesty of Milford Sound in NZ was breath taking! Seeing and holding/feeding penguins, koalas, and kangaroos came in second! Don't let Collette make the air arrangements. We saw a lot of great and interesting sights. I must say that the logistics of the trip left a lot to be desired. First off, the flights that Collette made were not great. We flew business class on the long part of the flight from the U.S. to AU. then home from N.Z. to the U.S. Collette first gave us a quote of twice the fare that I was seeing on the internet. After numerous phone conversations they found a fare that was $500 more than the internet (I choose to have Collette make the flights because if they make them the trip insurance is cheap and excellent). Leaving from Portland,OR. they wanted to fly us through Chicago then to L.A. Alaska Air flies to L.A. every 2 hours. I choose to make my own reservations to L.A.! I allowed Collette to make the rest of the flights. Didn't notice the last return flight from L.A. to Portland, they made it on Alaska Air and had us with a 10 hour lay over in L.A. That is after a 15 hour flight from N.Z. to the U.S. and a 5 hour lay over in Fiji. I decided to not use that ticket and purchase another on Alaska Air that had a lay over of only 4 hours (Colllette would not refund the cost of that ticket since it had already been issued). I notified Collette of change but they failed to notify the airlines and upon leaving N.Z. I was issued the original ticket with the 10 hour lay over in L.A. This caused a good bit of confusion when I had to change the ticket back to the one I had purchased. The tour itself was good except for a few scheduling problems. Collette had us booked into Sydney on Good Friday when nothing was open. We had to get up at 3 a.m. to catch a plane from Tazmania. Upon arrival in Sydney we found that Collette had nothing for us to do so we had a 4 hour bus tour of the city until our hotel rooms were ready. The second problem I saw was: we were given a booklet with suggested things we should do to make the trip go well. One of the suggestions was tipping the bus drivers, guides, and tour guide. On our trip there were a number of British that were also given a booklet but their's stated that the tipping had been taken care of. Getting up at 3 a.m. then finding out that once we arrived in Sydney they had nothing for us to do and it was Good Friday and everything was closed. The itinery was good. We covered a great deal of territory during our tour. It met my expectations! I enjoyed New Zealand more than Australia. Good trip and we saw a lot of interesting things. I thought the tour itinerary was good. I thought that communication from Collette got fuzzy just before we were to leave from home, and we were unsure on when and where we were to meet with our tour guide when arriving in Cairns? I thought our tour guide droned on a little too long about our next day's schedule - so long that he sometimes changed times and details as he proceeded. That left us a little confused. See my comments before this. Our tour guide, *Personal Details removed by Feefo* took care of every detail which allowed us to thoroughly enjoy all aspects of our journey! 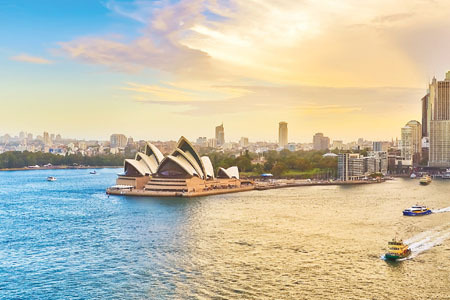 We had a full understanding of the variety of climates, geography and history of both Australia and New Zealand because of the in-depth touring and optional opportunities to further enhance our trip. Surprisingly excellent service, primarily due to an incredible, experienced, personable Tour Manager who handled all the potential problems and left us to enjoy the trip. The only annoyance was the necessity to tip drivers and the tour manager. However, the latter almost certainly got a lot more money than he would have if it were included, and he well deserved it. Transfers, flights and bus tours were amazingly coordinated and efficient. One person got a serious leg infection and the tour manager not only took him to the hospital, but staying with him and got only 2 hours sleep before taking the group out again, while arranging a one-day later flight for that person when he got out of that hospital. They take care of you. Nobody else does a tour this complete. Most of us noted including Darwin/Kakadu in the north and Tasmania in the south of Australia were what sold us, and they were indeed highlights, especially Tasmania. Using flights in Australia and the same bus in New Zealand was absolutely the right way to go. The activity level was as described, but the pace was unexpectedly more intense. Note that Tauck rates both activity and pace, but Collette only rates activity. I felt that we had the right amount of time in each location, and the right choice of included and optional tours. Collette is a perfect Company to place your trust!!! Overall All my expectations were met, especially in Australia. I felt our Tour Manager did an excellent job, and was always focused on the tour, and making sure we were well taken care of. 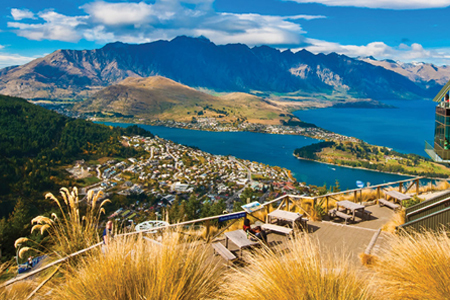 There is always room for improvement, some parts of the New Zealand itinerary could be improved. But given the time we had, it was fabulous! To many wonderful things to list! Many of the excursions were so fun, and the "added" touches that Collette thru in, made the trip fun and exciting. I enjoyed Queenstown the best, the scenery was the best! Too many people were on the tour and it was geared to couples. There were 41 people on the tour. In my opinion that's too many. The tour guide was very good-*-Personal details removed by Feefo*--and she's made the trip to Australia/NZ probably more times than she can remember. I was very sick on the tour and had to drop out partway through the tour--In Christchurch. So, there are going to be gaps in my evaluation of the tour. I had pneumonia and a chest infection that would not clear up. PS: I can't get Your Purchases to open. Did you read the above comment? I missed ca. 1/2 of the tour because I was so sick. Our trip took us to many exciting and interesting places. We had a great time. I knew up front that it would be very tiring with so much air travel, but it was the only way to see as much as we did. It was a good mix of culture, history and geography. Our "together" meals took too long. A great trip to high lite these two countries. Since I am a outdoor person, My favorite stop was the Un Zoo. That entire day was my favorite. It would be very hard to pick a favorite city. A great trip to see a good portion of Australia and New Zealand. This trip kicked our butts though especially the first two weeks. We flew on 11 flights in the first two weeks. We were on the move constantly with very little down time. Feeding the kangaroos at the Unzoo on the island of Tasmania. The itinerary was good; that's why I chose this trip. The only disappointment was that there was no optional for the glow worm caves in New Zealand, and we had to endure another sheep shearing and herding demo instead. That morning was a waste of our time, and we missed a highlight of New Zealand. Overall, a good itinerary makes this trip enjoyable. The only disappointment was that there was no opportunity to see the glow worm caves of New Zealand, a national highlight, while enduring a second sheep shearing and herding demo instead. That was a wasted morning for us. We could not have covered the sights and planned hotels, etc. without Collette. This was a complex trip and we appreciated the trip management. The hotels were excellent and the meals were good. Our flights were without issue and the logistics, flight times, etc. were well done. Our tour manager was an organizing genie and was up to all challenges. Unfortunately, there was a serious illness circulating throughout the bus for the entire trip. While unavoidable, it did cause a lot of stress to everyone. A highlight for the tour, for me, was the contact with the aboriginal and Maori cultures.There was plenty of opportunity to learn about local plants and animals, as well. If I travelled with Collette again, I would avoid the city tours in a large bus. Unless you are in the front, you can't really see the sights, and the bus driver/narrator has to concentrate on driving while showing the sights. Maneuvering a large bus through cities called for a lot of circling. We would have got more from taking a jump on/jump off local tour. For the most part, the local shopping stops were not that interesting and we are inclined to find our own interests. Our New Zealand driver, however, was excellent. His knowledge of NZ was quite amazing and he had a very pleasant personality. We liked most of our optional tours. I was disappointed in the Lord of the Rings, Journey through Middle Earth 4WD jeep tour. There were 6 passengers and then, due to mechanical breakdown, another passenger joined us, which meant that 2 or 3 people were in the jump seats with no opportunity for photos and a very uncomfortable ride. We spent a lot of time in the back of the jeep. Showing us a photo album of movie shots was pretty outdated. A snack and a drink provided did not make up for the lack of value on this excursion. We wished that we had hired a local cab instead of taking this tour. The panning for gold was entertaining, though, so it was not a total waste of our time. The Hobbiton tour was excellent, however, so we did get our interest in Lord of the Rings satiated. Our rural home and farm stay was not successful, due, in part, to the mix of personalities in our group, and the lack of experience of the farm resident. I would have preferred a hotel stay. Other groups enjoyed their stay immensely, so I am aware that it could have been an awesome experience. The weather could have been better, but again, that is not controllable. (Personal details removed by Feefo). Would suggest adding an additional day or two in Melbourne to make the trip even better. A nice time in Australia and New Zealand. The hotels we stayed in were excellent, the included meals were generally very good. (Personal details removed by Feefo) our guide, as well as the local guides were very good and knowledgeable. The places we visited were very pertinent and representative of my notions of what the countries were all about. I do have a problem with the idea of gratuities, the guides should be reimbursed by Collette adequately so we do not have any expectation of these. After spending for the trip, then being expected to provide gratuities on top of this is a sore point with me on any tour I have taken. We're happy to hear you had a great time visiting Australia and New Zealand. We have also passed along the information about the tour guide reimbursement to our tour manager team for review. We appreciate your feedback and look forward to traveling with you again soon. (Personal details removed by Feefo) was by far the best Tour Manager/Director we have ever had with Escorted Tours. His knowledge of Australia and New Zealand was better than most Australians and New Zealanders. (Personal details removed by Feefo) was very organized.Need more time in Melbourne. (Personal details removed by Feefo) was always willing to share his knowledge of Australia and New Zealand. He had great contacts at all airports, hotels and sites visited. 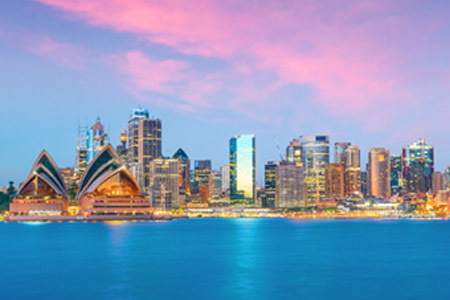 Airport checkin within Australia could not have easier! It was the worst experience we ever had with Collette. Thank you for your feedback about this tour! We apologize for the experience you had with the customer representative. We've passed this along to our customer care team so that they're aware. We have also shared your feedback about the tour with our product team for review. Your feedback is extremely valuable to us as we use it to improve tours for future guests. If you have any additional feedback that you would like to share, please don't hesitate to reach out. Complete South Pacific- a thoroughly memorable experience! Had a marvelous experience throughout the trip. Each day had so many new and valuable experiences. It was a trip of a lifetime to visit three countries and interact with the people. I took advantage of most excursions and found them value filled. The homestay on a New Zealand farm was most endearing. All of it! Can''t pick out just one! Collette has put a fabulous trip together! Our bus drivers, generally, offered us information that we could not have attained from someone who was not a resident. Our tour director was fair. He took care of business and led us in the right direction, taking care of changing plans when needed. He did not, however, go above and beyond as I have experienced with other trips. The tour itself, and all that it contained, was excellent. This was truly a trip of a lifetime, including a new adventure every day~~from snorkeling the Great Barrier Reef, learning about how children hundreds of miles from anyone attend school, to feeding a kangaroo, finding out about the disease that is killing the Tasmanian Devil, and viewing awesome mountains and landscapes. The only downside was that the group was too large. Always were able to provide answers to the questions asked. Loved the Great Barrier Reef. I took the optional Reef tour. This tour should be planned for everyone even if the entire triip costs a little bit more. The "platform" we connected to was like a city. One didn't even have to go into the water to enjoy the experience. The Outback experience was fantastic. I did the camel ride at sunrise. Great adventure!!!! I loved everything about the outback even having to wear a net because of the flies... I did not enjoy Darwin and the national park. It was too long of a trip both flying and the bus ride. I strongly suggest eliminating this and either go to Perth or add on days to Melbourne or Hobart. Loved loved loved everything about New Zealand even being in the 7.8 earthquake. Since they have so many, may I suggest that you give traveler a notice of what to do in an earthquake. We added on Fiji and are so glad we did. Beautiful people and country and a great place to unwind after an awesome trip. 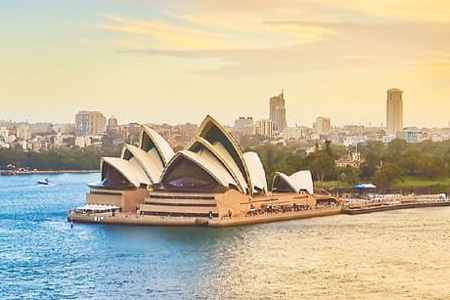 You obviously have worked very hard in putting together this tour which included everything possible to enjoy a trip to Australia and New Zealand. The meals that you arranged were always topnotch and extremely interesting. The hotels were all clean, accommodating and perfectly located to do many things during our free time. All the bus drivers were extremely friendly and knowledgeable of the areas where we toured. Enough cannot be said about******** our tour leader. He was friendly, courteous, knowledgeable, funny, helpful and highly communicative. He shared everything to help us prepare each day, informing us days in advance to be sure we could make our plans. I thank you for this fabulous experience. Too, too many fabulous things on this tour: Loved the Great Barrier Reef, The Penguin Parade, Mt. Cook, The Opera House of Sydney, Ayers Rock and the Bush, the UnZoo and all those great towns: Melbourne, Auckland, and Sydney. The materials Collette provided were very helpful in preparing for our trip (clothing). Some of the flights had rather long layovers and it wasn't always clear to us when we had to walk between domestic and international terminals. Scratch this one off the bucket list. We saw a lot of Australia and New Zealand. Each day was packed with new sights and experiences. There were also optional tours that enabled us to individualize our trip. Previous clients have indicated that a small gift from your area is appropriate and appreciated the night of your home stay in New Zealand. Air inclusive rate is valid for guests who have purchased our air package for the full tour. Rate will vary for those who have purchased their own air. *Please note that Collette Foundation sites may not be available for visits due to school holidays or programming challenges. **Your home stay will take place in the greater Rotorua area. Your host family will pick you up at your hotel and return you to meet up with your group the following morning. If you prefer not to stay in a private home, you may choose to stay at your Rotorua hotel with dinner included. Please make your decision known at the time of booking as no changes are allowed on tour. If your preference is not made known, your stay in Rotorua will default to the home stay. The internal flights on this programme are included in the land price of your tour. These flights need to be arranged and purchased directly from Collette if you arrange your own international air to and from the UAE. Internal flights are included with the air portion of your tour if you purchase air through us.